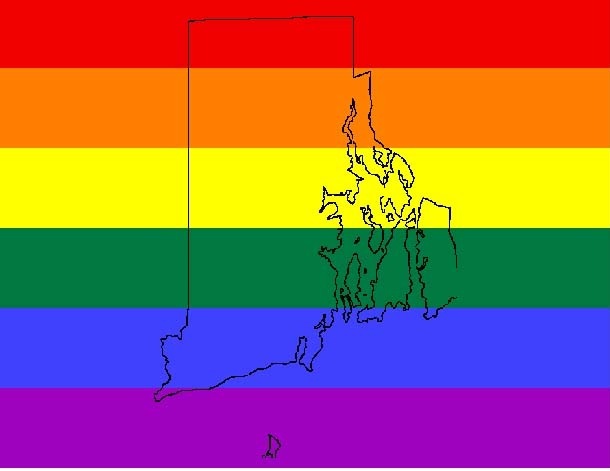 Get LGBT and AIDS news from Rhode Island in your email! Would you like to get news from Rhode Island's lesbian, gay, bisexual, transgender and AIDS communities in your email? Then you've come to the right place! RILGBT-NEWS is a free, confidential email list for news and announcements from and about the LGBT and AIDS communities of Rhode Island. News articles about events and issues in the Rhode Island LGBT and AIDS communities, including articles from around the state which you might otherwise have missed. Announcements and news from local organizations, including meeting and event announcements (and cancellations during bad weather) and volunteer opportunities. Several groups are represented on the list, including Youth Pride, Inc., the Imperial Court, AIDS Project Rhode Island, the RI Alliance for Lesbian and Gay Civil Rights, OPTIONS Newsmagazine, AIDS Care Ocean State, the Enforcers, the Pride Committee and others. Action alerts. When a quick response is needed to an event or issue, the list is a great way to get the word out quickly to a wide local audience. As such, the list has become an important networking tool. Discussion or chat. The list is for local news and announcements only, not for discussion, debate or chat. As such, the volume of email remains manageable for most subscribers, and the signal-to-noise ratio is good. News or announcements that are not about Rhode Island. Keeping the list solely focused on Rhode Island (with an occasional item from the surrounding parts of Massachusetts or Connecticut) ensures that it remains useful to the maximum number of local people. While there is obviously a lot of important non-regional news, if even a fraction of it were posted to this list, the volume would soon become unmanageable for many people. If you want to receive LGBT/AIDS news from other places, there are many other lists available. Information on several is available in the QRD. Spam, commercial posts or junk mail. The only advertisements allowed on the list are for fundraisers held by local LGBT or AIDS non-profit organizations or local LGBT-friendly political candidates. News not related to LGBT or AIDS issues. While there are many wonderful organizations doing great work on other issues, this list is specifically focused on the local LGBT and AIDS communities. It's easy! Just email Tina Wood at tinawood@cox.net and she will sign you up. Most other questions are answered in the monthly administrative post, or you can email the listowner.